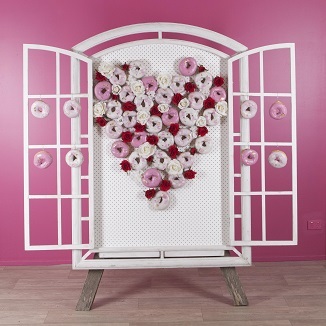 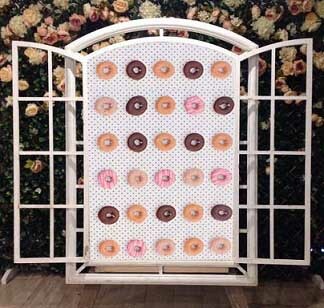 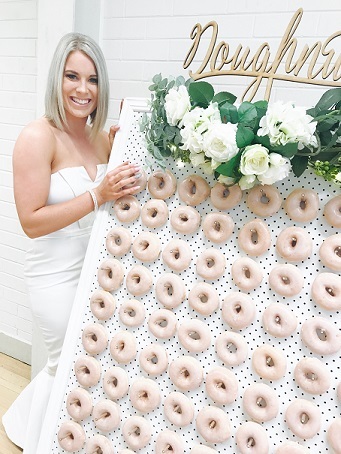 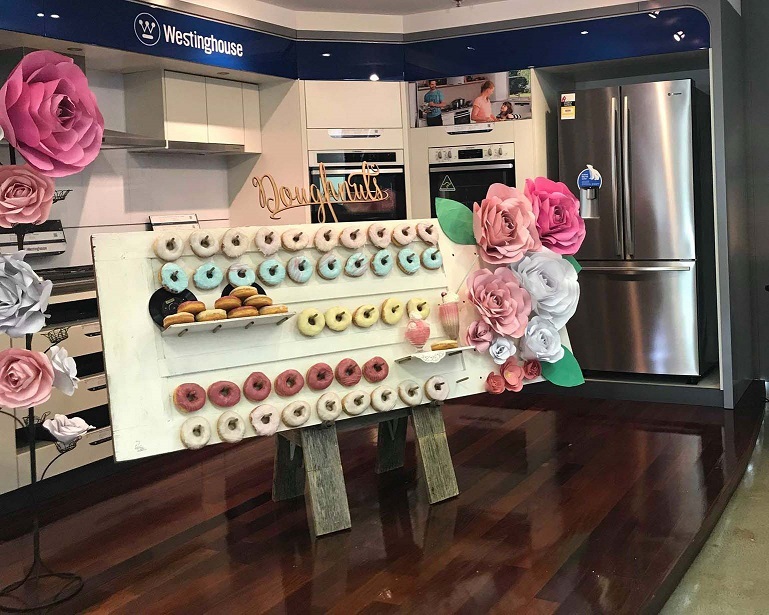 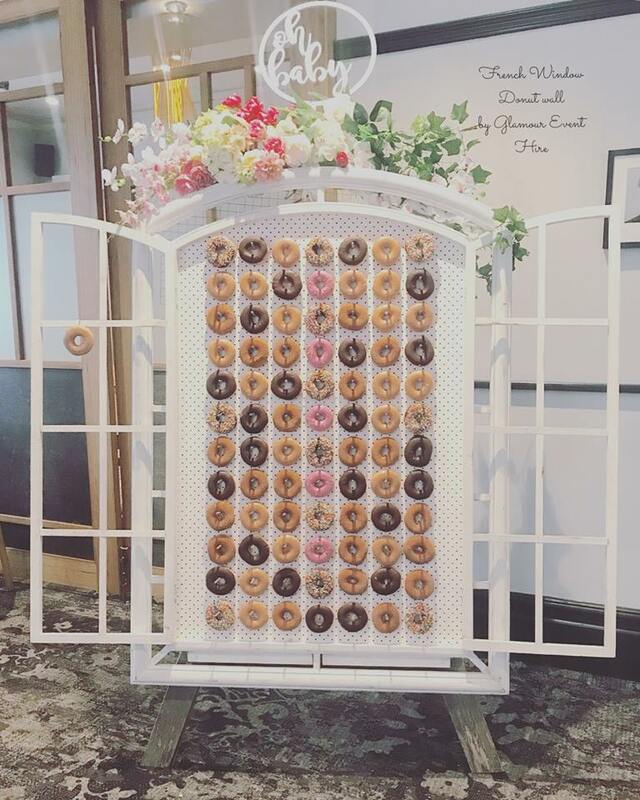 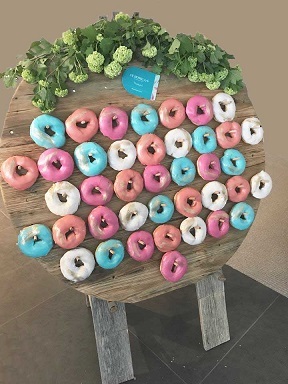 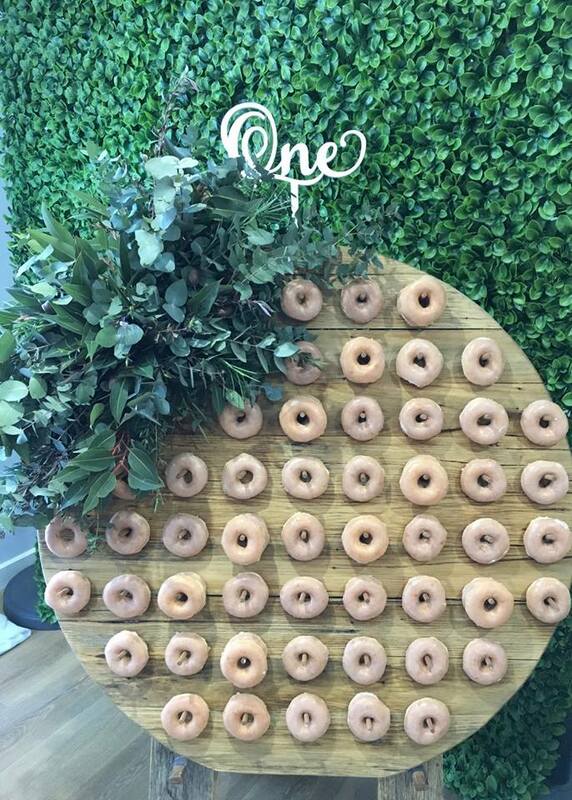 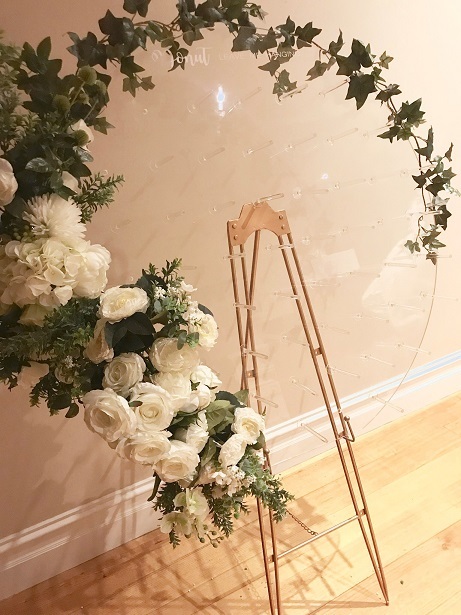 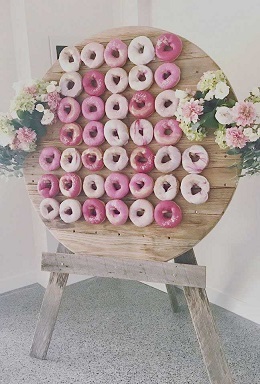 Glamour Event Hire Melbourne are the largest supplier of donut walls in Melbourne. 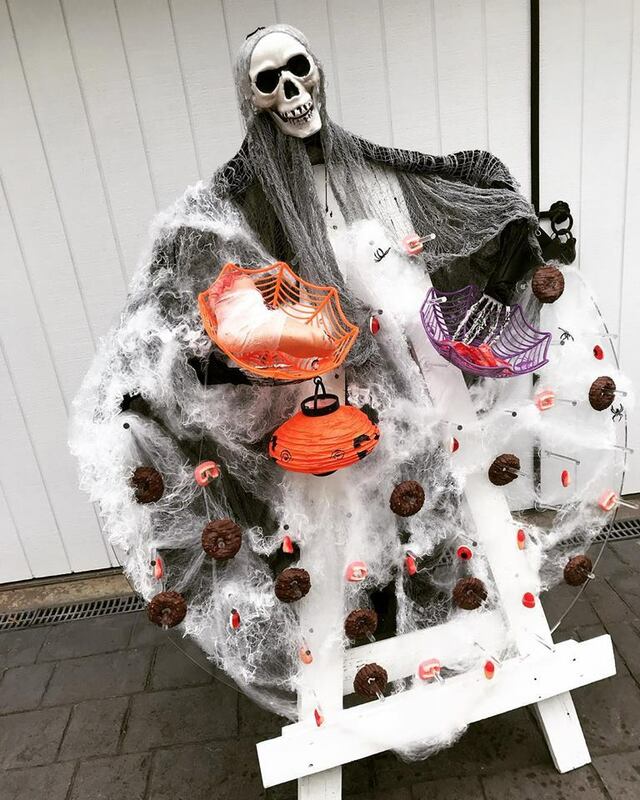 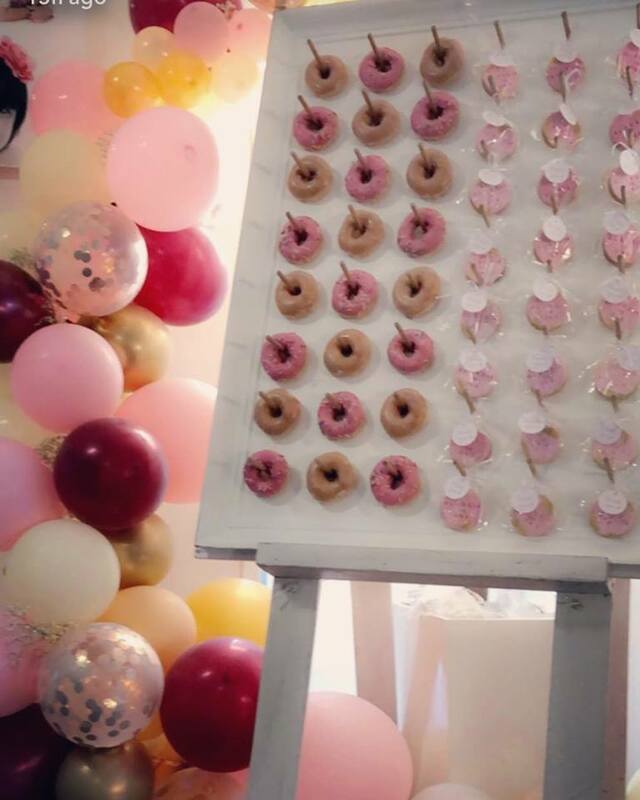 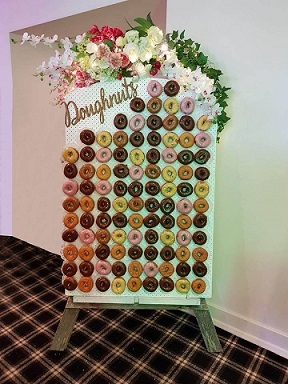 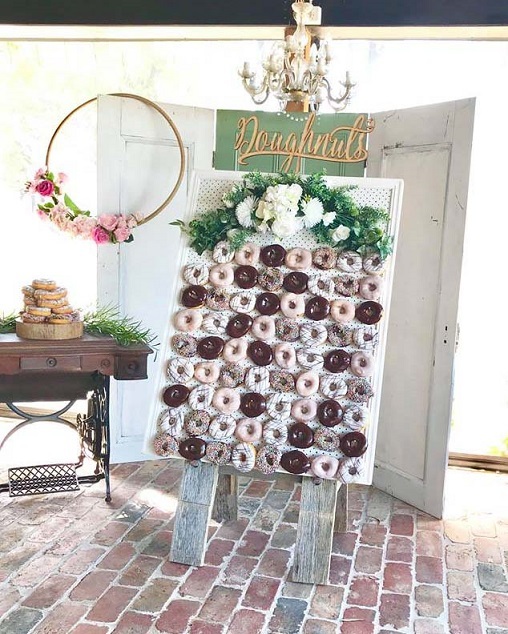 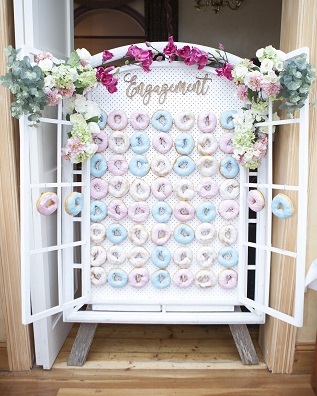 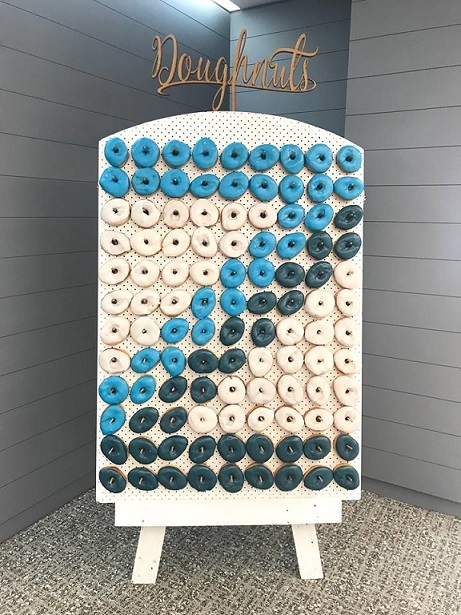 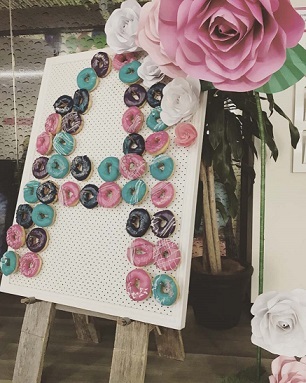 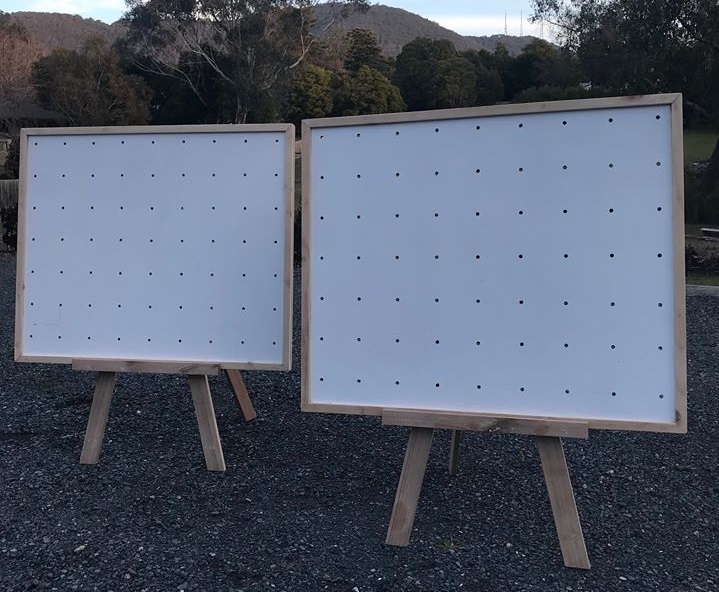 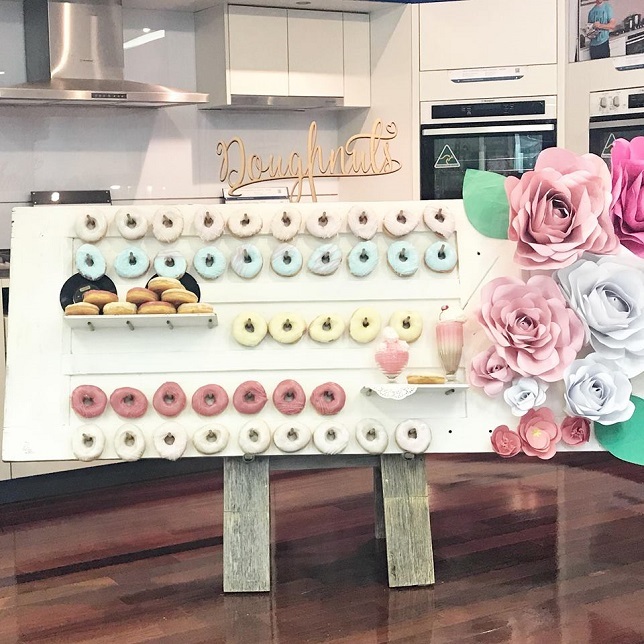 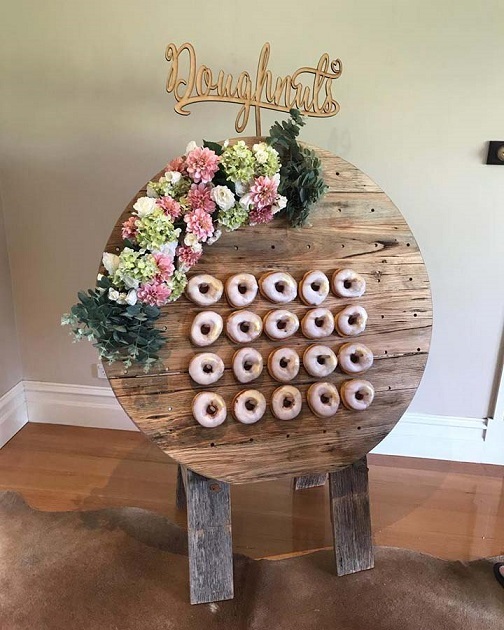 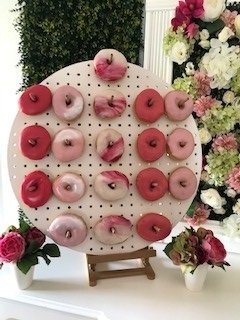 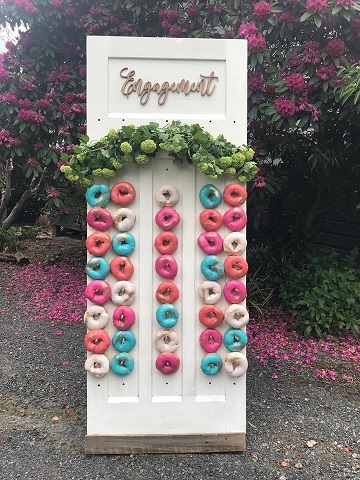 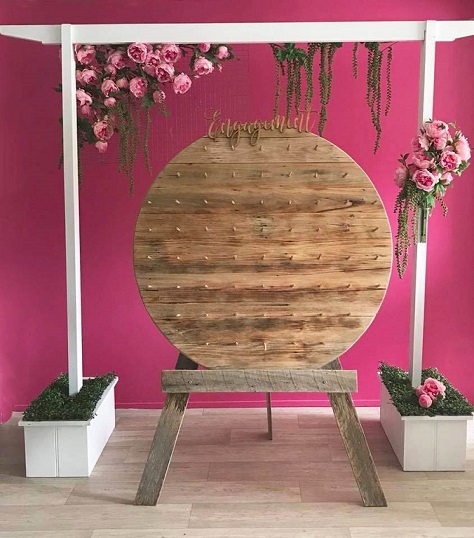 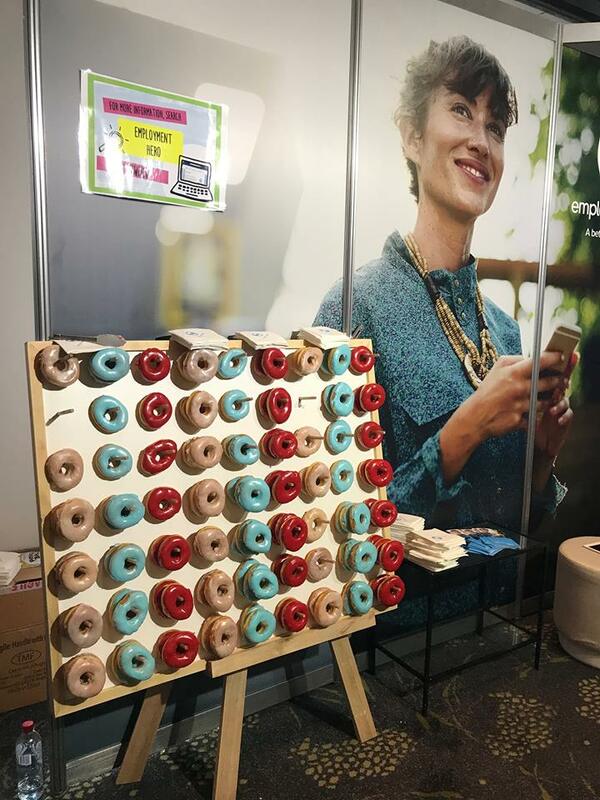 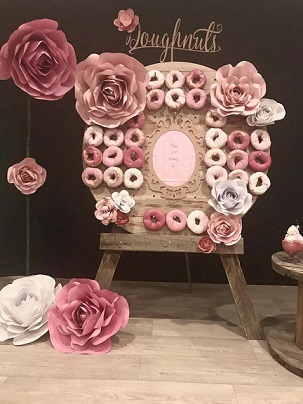 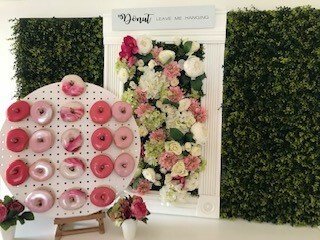 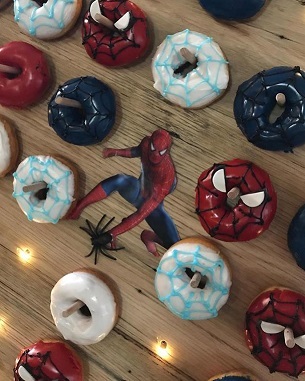 Donut walls for hire have become the fuss free easy dessert for events, wedding, children’s parties, work functions, birthday parties and all celebrations and events. 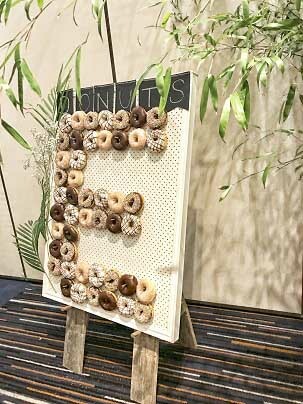 Mesmerise your guests and make your event stand out. 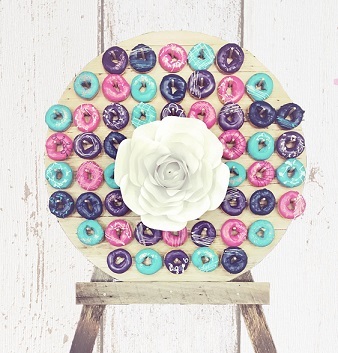 Imagine the sweet aroma throughout your event and the lasting memory it will leave. 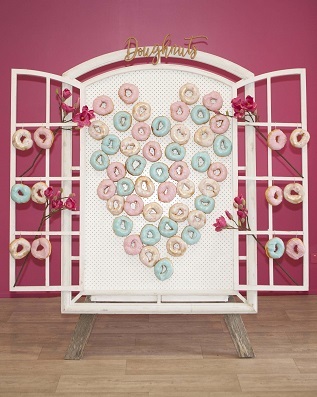 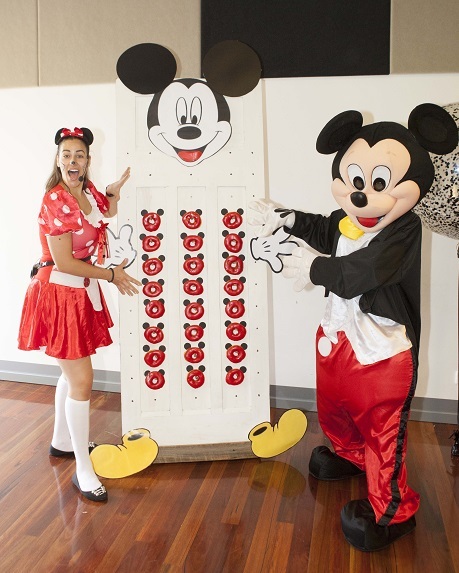 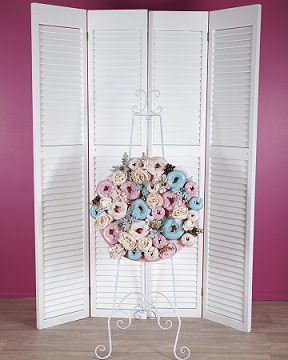 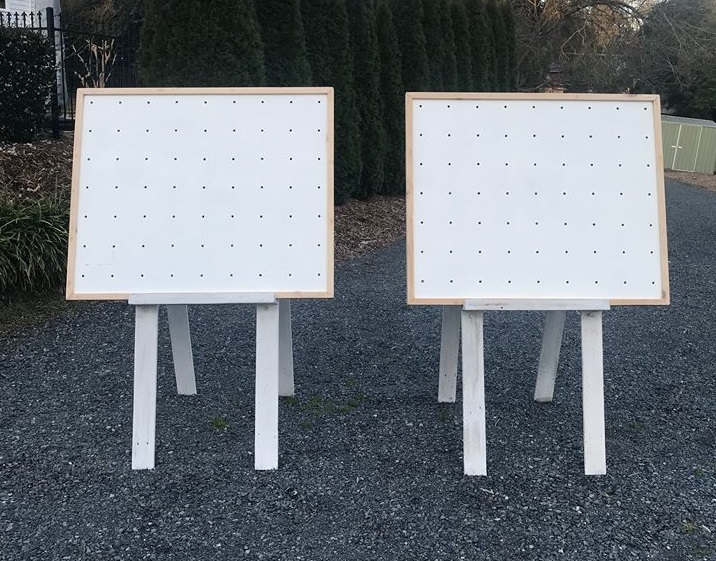 $130 each – The “Adorable Twins” 204cm x 91cm each hold 75 triple length donut pegs. 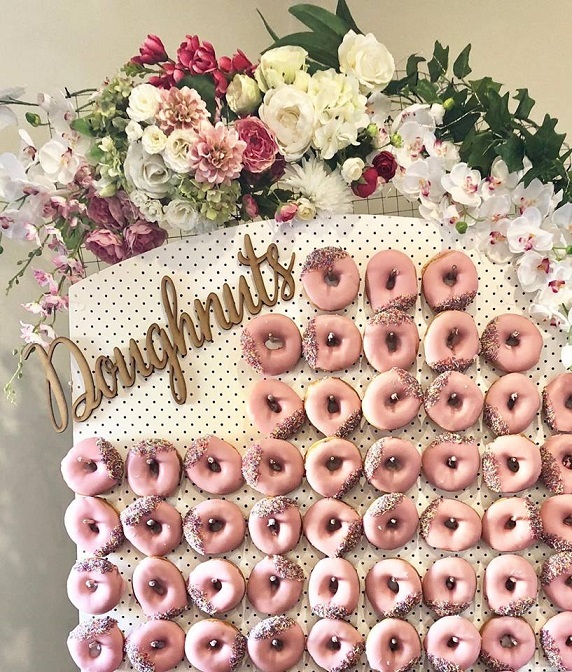 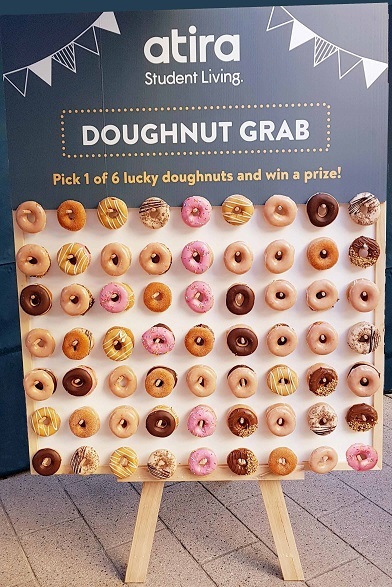 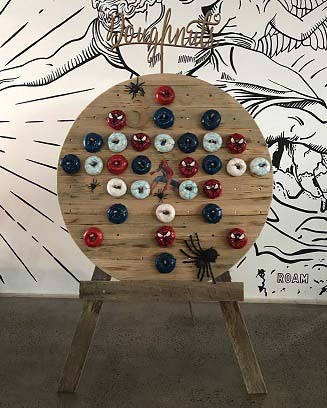 *Note – Donut Wall capacity are based on 11cm donuts. 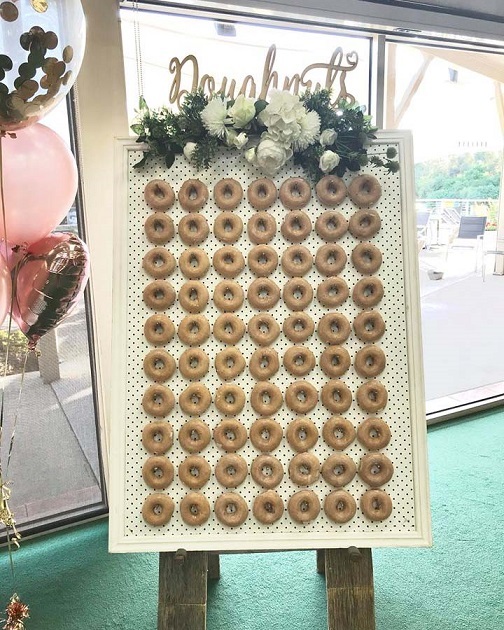 Some Walls have longer pegs to double donut capacity. 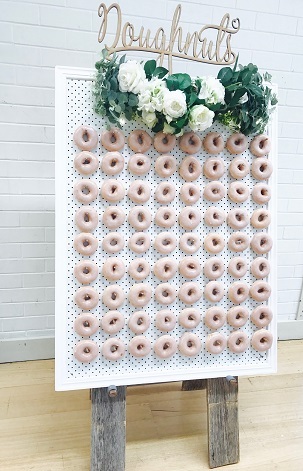 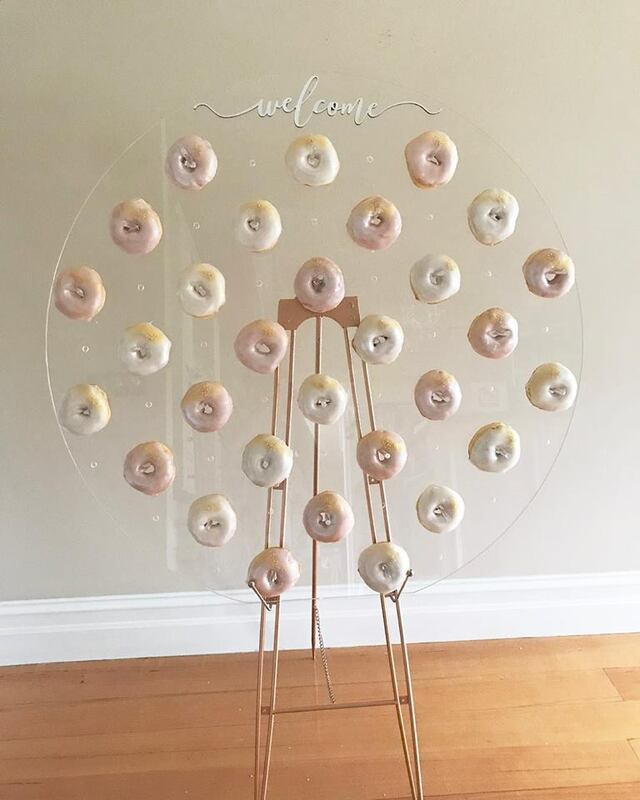 All Donut Walls come with stands. 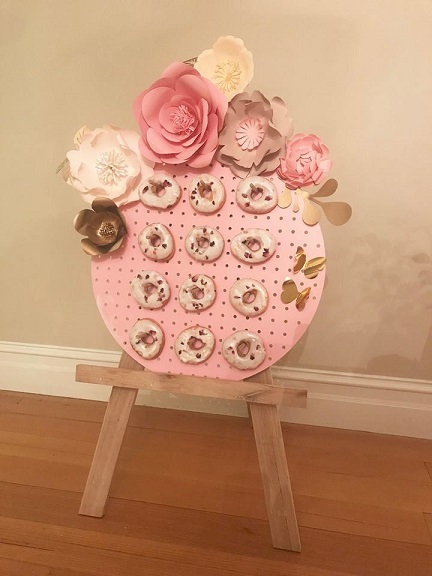 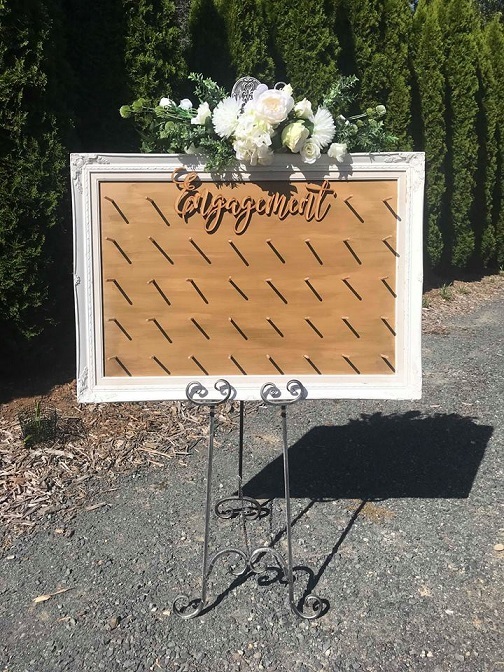 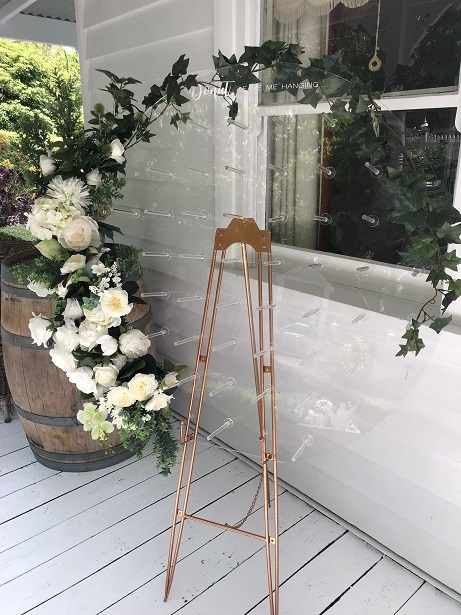 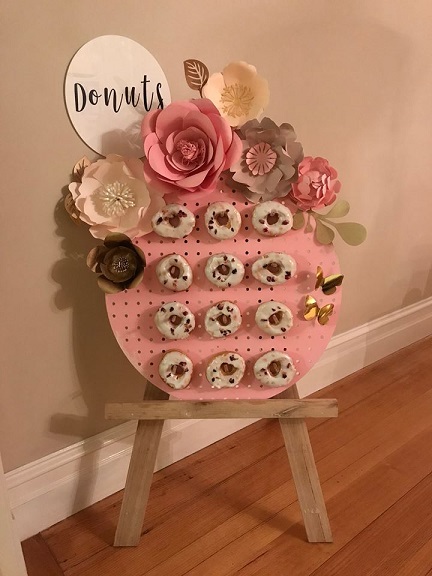 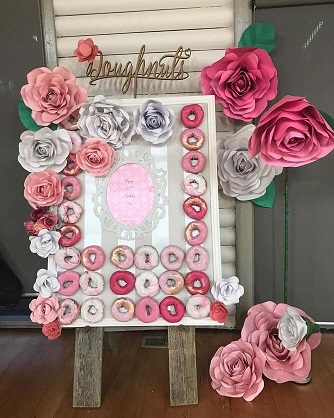 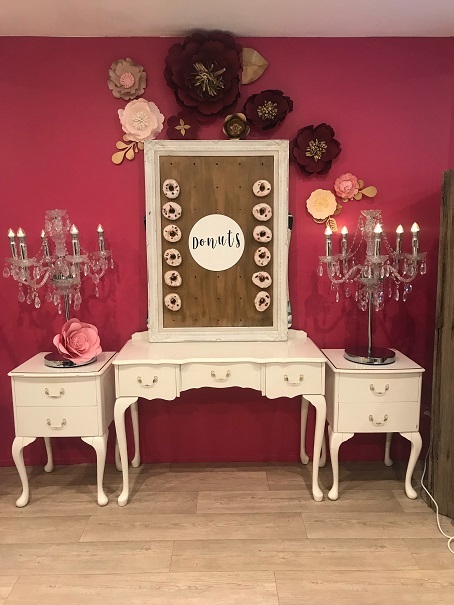 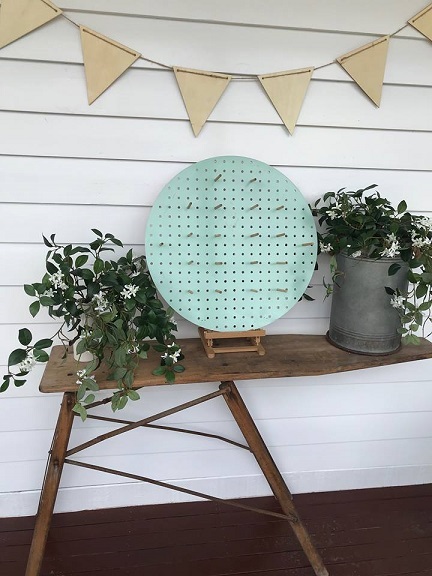 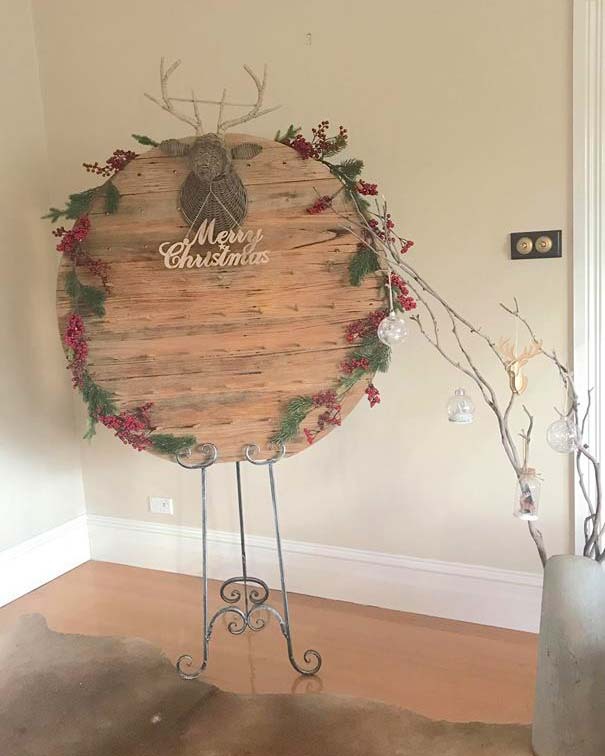 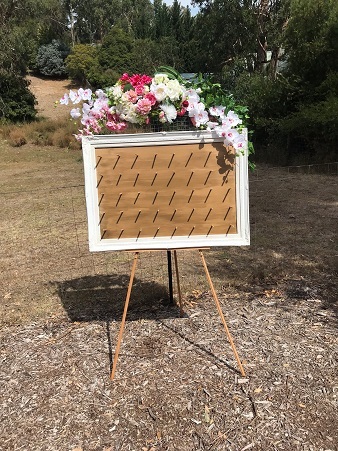 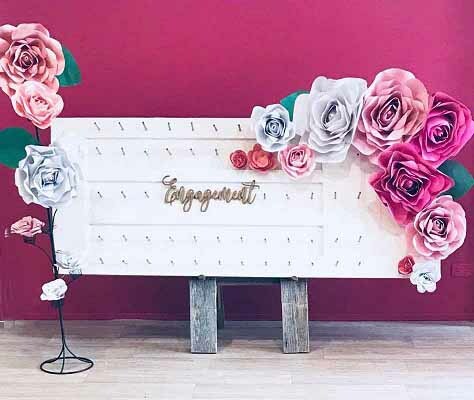 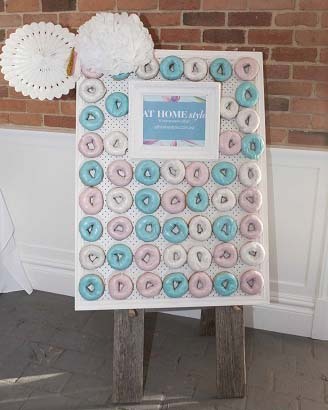 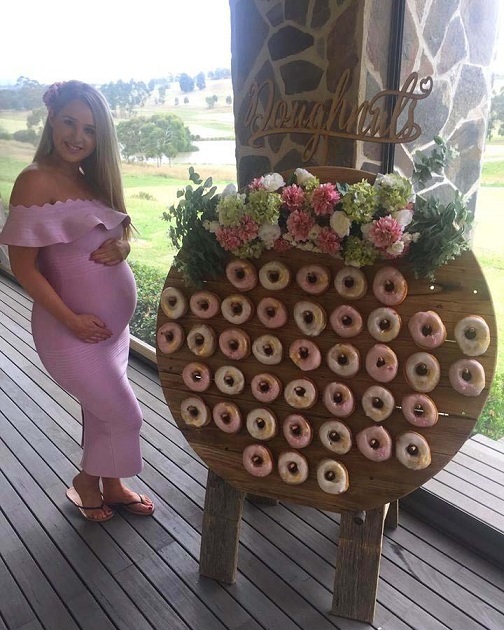 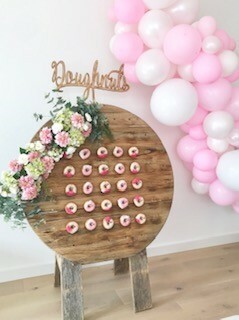 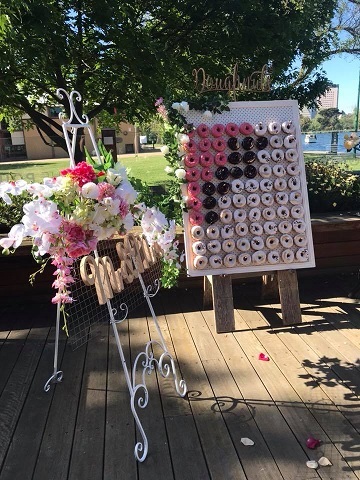 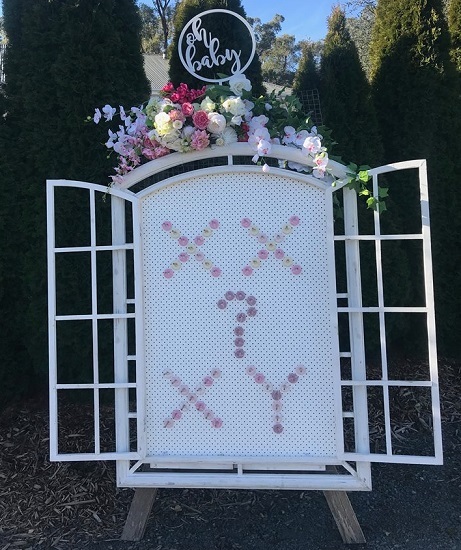 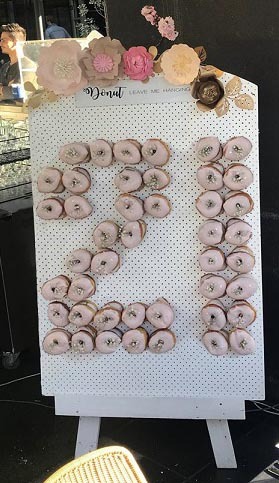 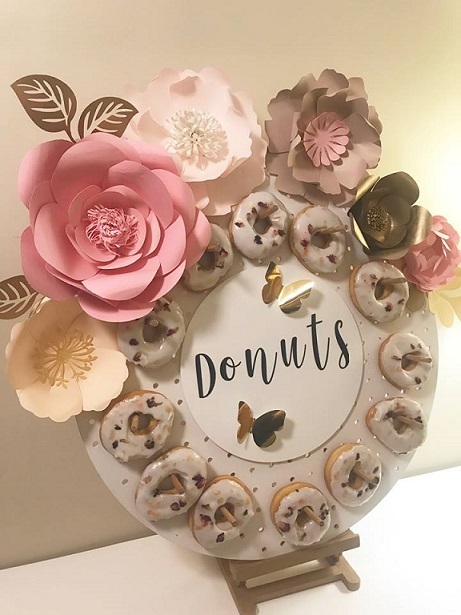 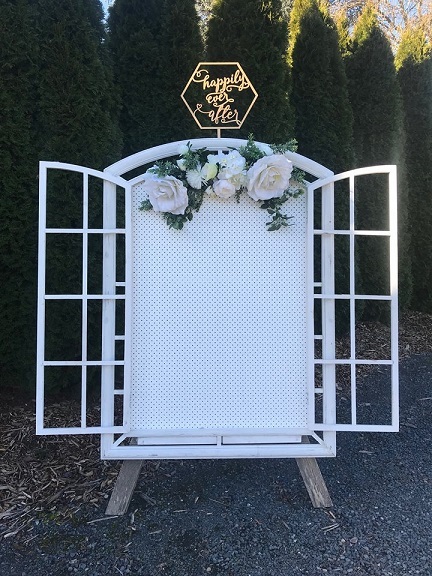 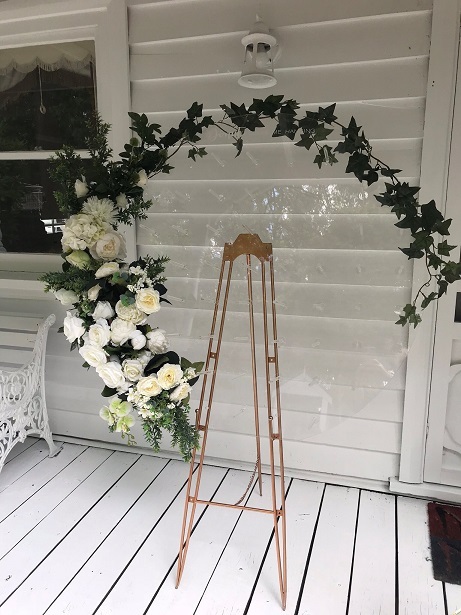 $15 Wooden Signs for Hire , Engagement , 21st Birthday , O Baby, Mr & Mrs, Doughnut ,1st Birthday ……. 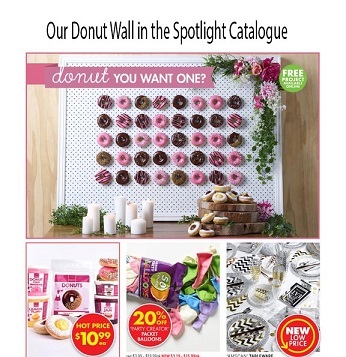 Highlight the image to see more details. 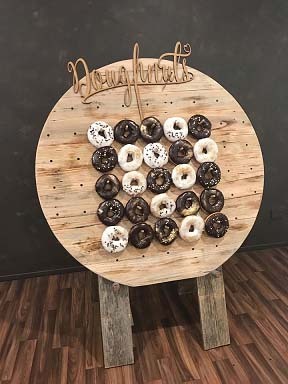 Matching Corporate Donut Walls - $150 size 1190mm x 910mm. 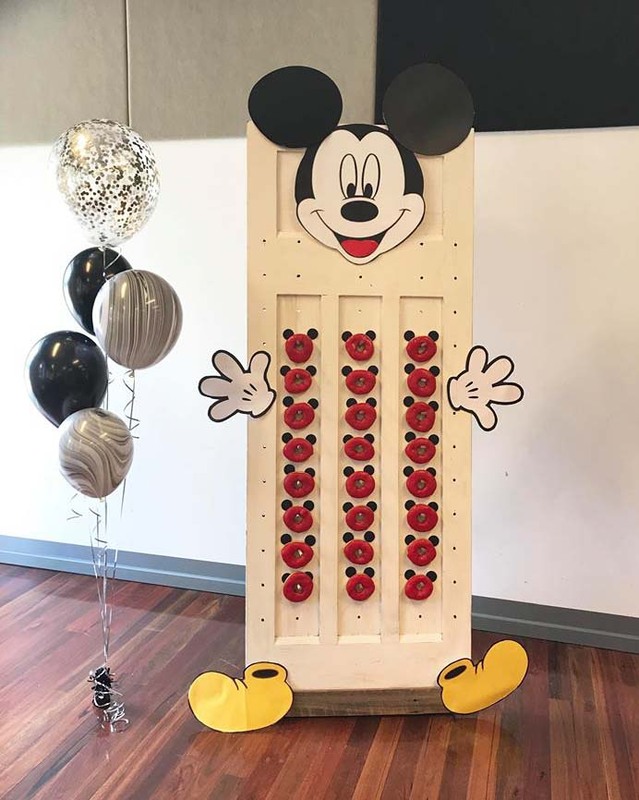 Holds 63 double length pegs each. 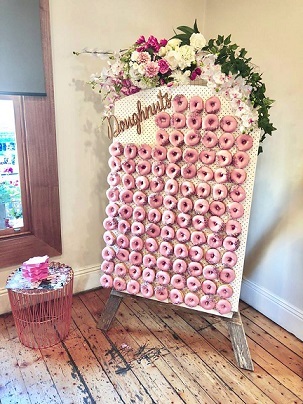 Holds 126 donuts each.